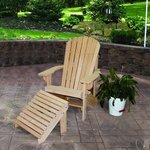 Order this Adirondack Chair with or without an ottoman. Ottomans are a popular choice so you can rest your feet and relax even more outdoors. 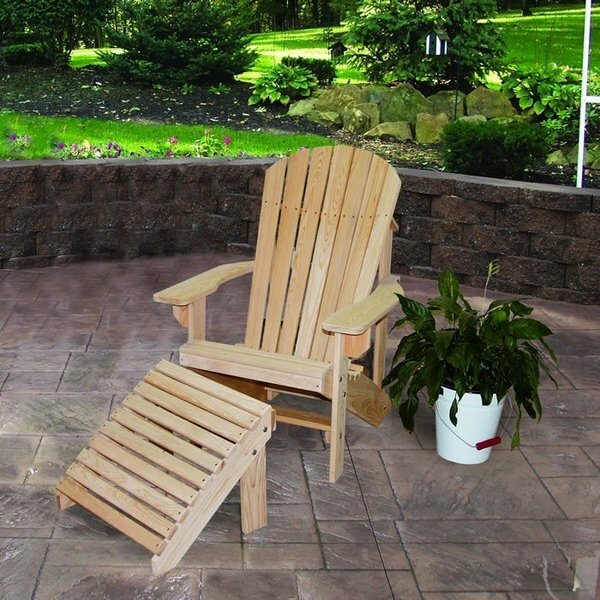 This Adirondack chair is Amish made in Ohio from durable cypress wood. Some easy assembly may be required when the Adirondack chair arrives. This comes unfinished but you can choose to stain or paint it after it arrives.